When does Dr. Domb see patients in clinic? Dr. Domb's Physician Assistant and Nurse Practitioner offer appointments every day. Call (630) 920-2350 to find an appointment time that works for you. Where does Dr. Domb see patients? Where does Dr. Domb perform surgery? What surgeries does Dr. Domb perform? Hip resurfacing has significant advantages for highly-active males under 60 years old. 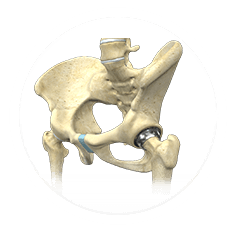 Hip resurfacing has the advantage of conserving more of the hip's bone and reproducing your native anatomy. Hip replacement has advantages in women and those who will not place extreme activity demand on their hip after surgery. Dr Domb and his team will educate you to decide which surgery is right for you. Where can I do physical therapy? We highly recommend our therapists and therapy center connected to our Westmont office. However, therapy can be done closer to the patient's home if more convenient. Our therapy protocols will help assist the patient and therapist in guiding their rehabilitation course. Where can I get an MRI? 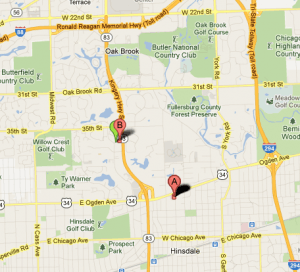 Dr. Domb's office at the Hinsdale Orthopaedics Westmont office has a new and advanced MRI machine. This machine gives clear pictures to assist in diagnosing injuries. Dr. Domb often recommends specific types of MRIs to better diagnose patient condition or injury. These MRIs may be offered at different locations. Dr. Domb is happy to read MRIs from an outside source if obtained prior to your appointment. Please provide the study disc and report if available.